The City of Leeds is approximately 22.7 square miles with an estimated residential population of 12,031 and 4,468 households in 2017. There are 530 persons per square mile. The population in Leeds has increased 2.2% since 2010. The working age population, residents between the ages of 20 to 59 years, has experienced a modest decrease in total percent share. The working age population made up 55.5% of the population in 2010, dropping to 49.9% in 2016. The racial composition of Leeds, according to the 2010 estimates, consisted of 78.7% of residents reported as White, 14.3% Black or African American, and 7.0% making up the remaining racial categories. 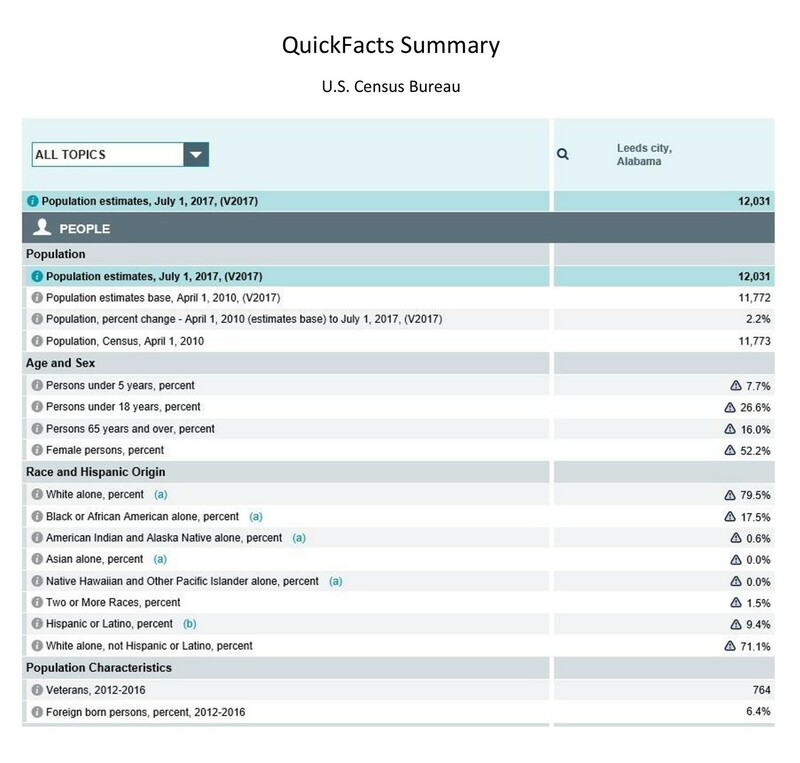 Persons of Hispanic origin made up 6.6% of the population. While the racial composition of Leeds, according to the 2016 estimates, consisted of 79.5% of residents reported as White, 17.5% Black or African American, and 3.0% making up the remaining racial categories. Persons of Hispanic origin made up 9.4% of the population. Leeds, estimated in 2016, is a city with 67.1% of households that have children living at home. Leeds average household size in 2016 was 2.62, compared to the Shelby County average household size of 2.60 and state average of 2.47. 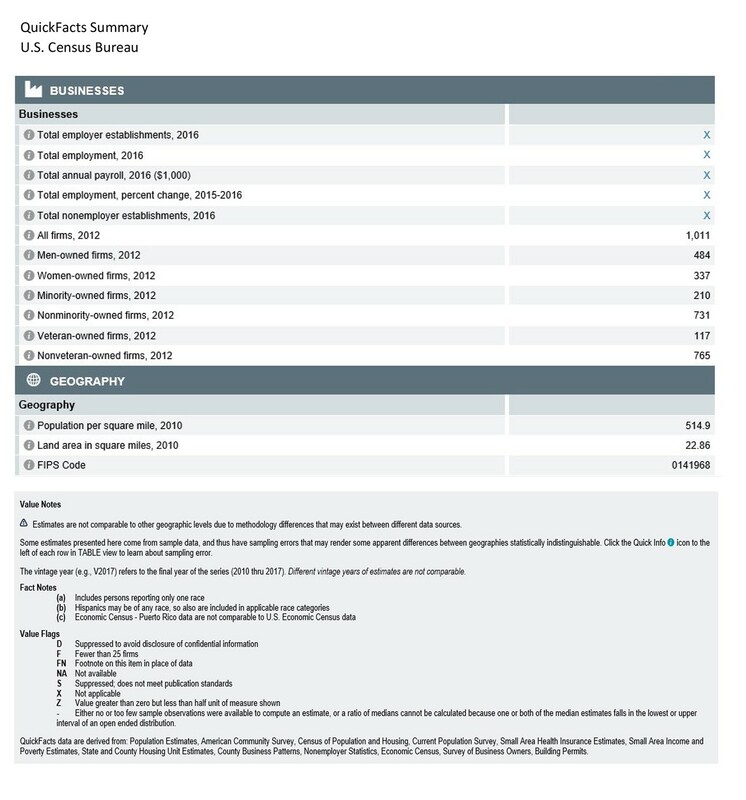 Median household income in the City of Leeds is an estimated $56,087 in 2016. 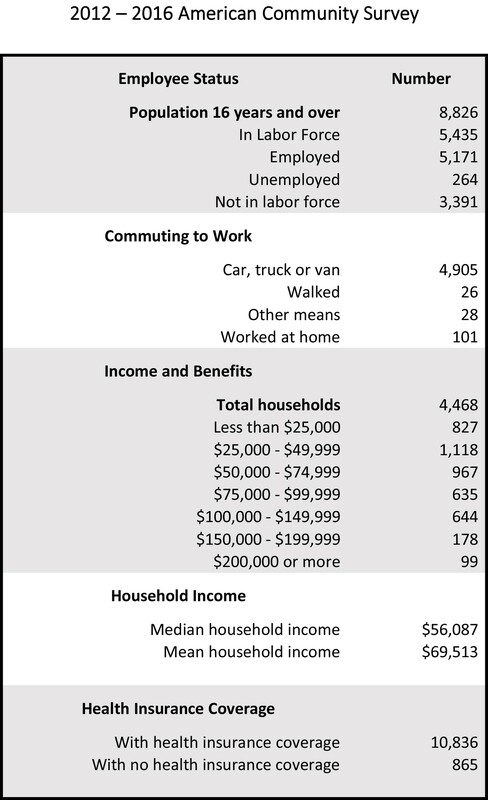 According to 2016 estimates, 13.2% of all Leeds families earn under $25,000 per year and 34.4% of all families earn less than $50,000 per year. It is additionally estimated that 14.1% of all households are below poverty level. Education and income are undeniably linked. Leeds is competitive in terms of educational attainment. 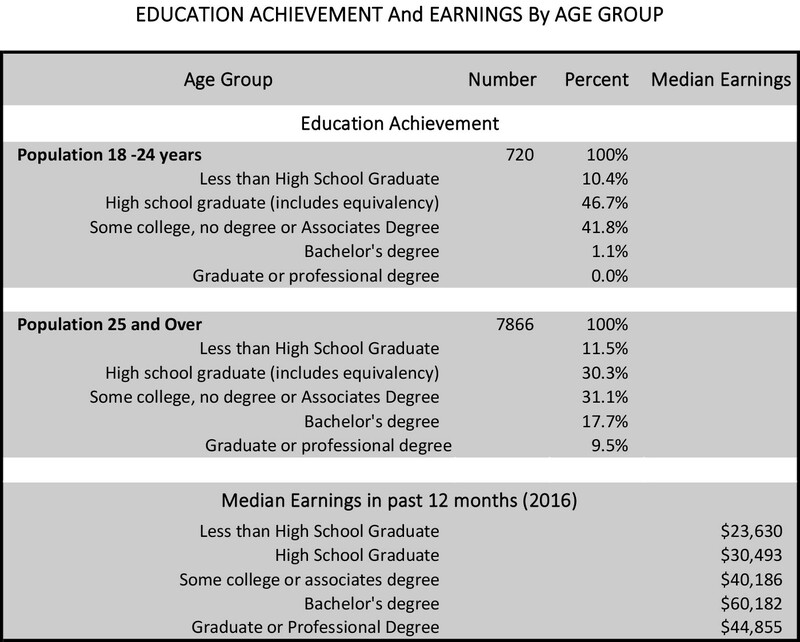 30.3% of Leeds adults over age 25 hold a high school diploma (includes equivalency), which is higher compared to the 21.0% of adults in Shelby County and approximately equal to the 31% of adults statewide. 17.7% of Leeds adults over the age of 25 hold a bachelor’s degree, compared to 27.4% of adults in Shelby County, and 15.1% statewide. Current commuting trends show that people are driving more places at longer distances. Daily travel times for workers living in the City of Leeds were reported to be a mean travel time to work of 24.1 minutes in 2016 with 36.7% of employed residents commuting more than 30 minutes to work each day. 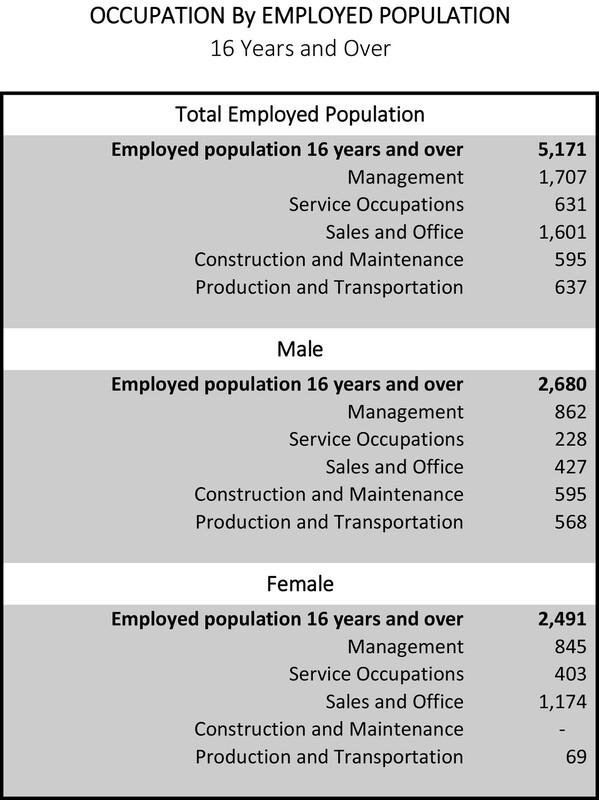 The most common employment sectors for those who live in Leeds, AL, are Retail trade (13.9%), Construction (11.1%), and Healthcare & Social Assistance (9.5%). 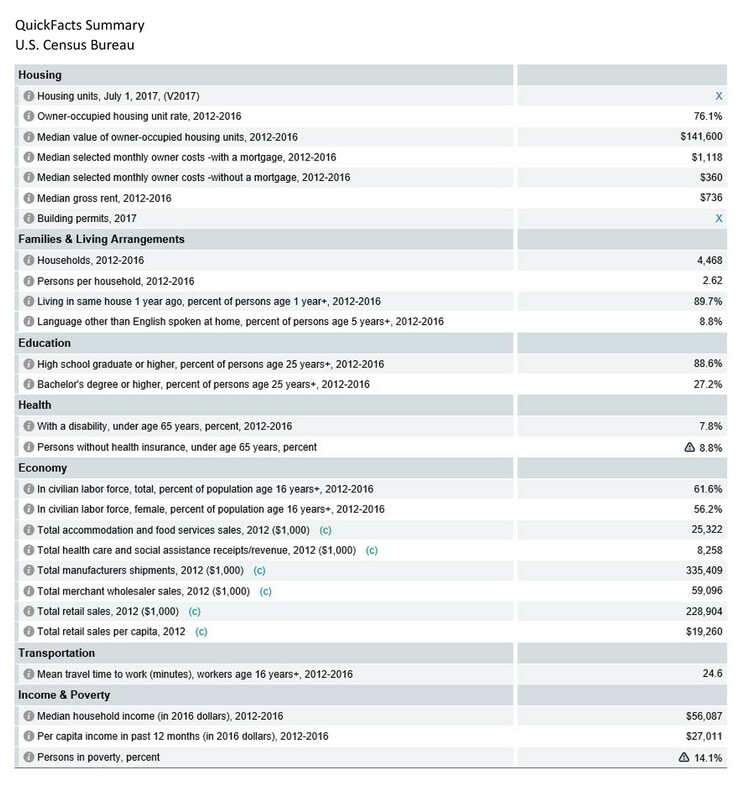 These numbers show the breakdown of the primary industries for residents of Leeds, AL. Some of these residents may live in Leeds and work somewhere else. Census data is tagged to a residential address not a work address.